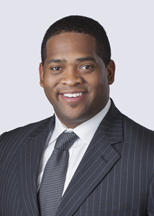 Chauncey C. Mayfield II is a corporate attorney who focuses his practice on representing entrepreneurs and private and public companies on a variety of matters, including acquisitions and dispositions, financings, commercial contract negotiations, supply-chain management, out of court restructurings, commercial bankruptcy, and general corporate law. Represented a Midwest technology firm in negotiation of master hosted services outsourcing agreement with a Fortune 500 financial institution. Represented MI regional bank in revolving loan facility to Michigan scrap re-seller.